Legion Podcast #10: Do Cyclical Aerobic Intervals Make you Better at CrossFit? The training of many elite athletes involves seemingly endless intervals suffering on the assault bike and the erg. 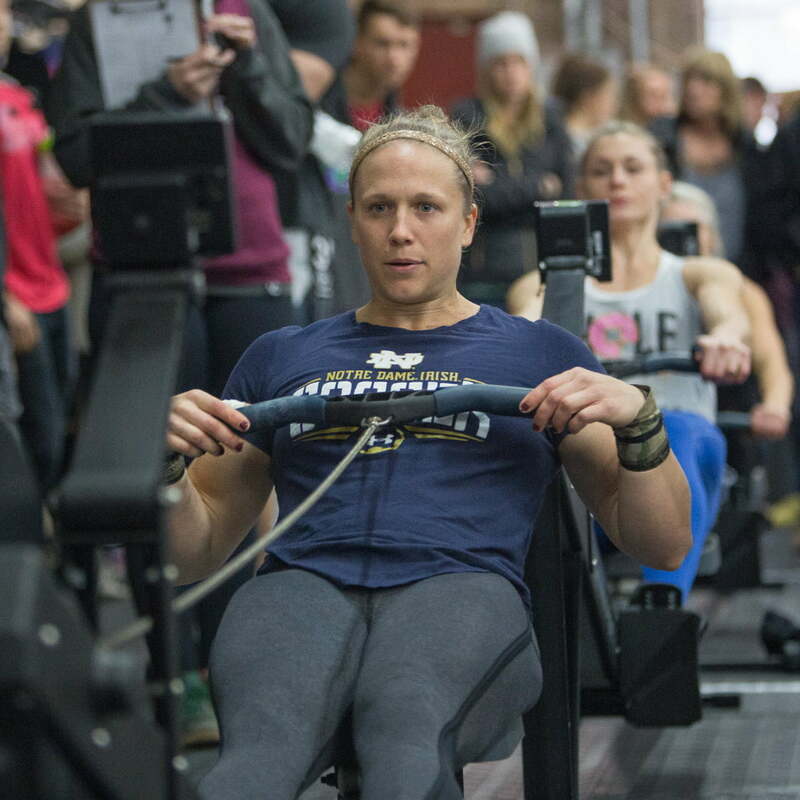 While there seems to be a general understanding now that the flashy 1RM PRs clogging up our Instagram feeds don’t necessarily translate into improve performance in the sport of CrossFit – what about the long hours of grunt work spent rowing, running, biking and skiing? Are you wasting your time sweatin’ to the oldies on the assault bike? Does hard work actually pay off here? There is certainly value in putting in work in cyclical modalities, and we use running, rowing, biking, etc. regularly in the training programs for our clients. However, the link between improving aerobic capacity in something like a 5k row and getting better at twenty minutes of burpee box jumps and DB snatches is a bit more tenuous than one might think. So, how should we think about integrating running and rowing into our programming? Is it enough to do some “CrossFit metcons” and layer an interval-based endurance program on top of that? What is the relationship between improving scores on tests of cyclical aerobic capacity (like a 2k row, 3k run or 10 min assault bike test) and improving mixed modal tests (like Open workout 18.1, 17.1, or named workouts like Kelly or Eva)? Listen below – or in the podcast player of your choice. If you’re enjoying the show, why not a leave a review? It makes a difference in terms of other people finding the show. Trying to string together consecutive reps on toes-to-bar? Searching for the answer online can lead to all kinds of random drills (that require you to rig up six different bands and two plyo boxes) or lame, contextless cues to “stay tight”. But how does that really help you? How do you figure out what to focus on? Through coaching thousands of athletes, we have some insight into what matters and what doesn’t for improving kipping toes-to-bar. •	Being a professional CrossFit athlete. We’ve identified the six most common reasons why athletes tend to struggle with linking toes-to-bar reps. Note that – while you may struggle with more than one of these – it’s important to recognize which piece is the limiting factor. If you don’t have adequate strength to control yourself on the backswing from your first rep, it doesn’t really matter how much technique work you do. You’ve got to get stronger first! Also, figuring out the progression that will lead to you being able to string together toes-to-bar isn’t going to come from a few tips applied intermittently or episodically. It’s going to come from consistent effort and iteration so that you’re always pushing yourself just outside of your current comfort zone with the movement. If you’re not strong enough to control the positions necessary for stringing together consecutive reps on toes-to-bar, you’re going to have to get stronger before your technique work will pay off. The backswing of the kip heavily utilizes the stretch reflex through the shoulders and the core to “snap” an athlete back into position to make contact with the bar. However, if there is no eccentric control (meaning the ability to control the “lowering” phase of the movement), it’s very difficult to “catch” any of that energy as you’re coming down. So, rather than snapping back up to the bar like a rubber band, an athlete will feel “clunky” or “loose” as they hit the backswing on their second attempt. Think of this like a rebounding box jump. If you’ve been doing CrossFit for some amount of time, you’ve probably disregarded the long-term interests of your Achilles tendons and done your fair share of rebounding box jumps off of a 24″ or 20″ box. And, you may even be able to do a rebounding box jump off of a 30″ box. However, if I asked you to do a rebounding box jump off of a 50″ box, there’s a good chance you wouldn’t be able to do it. The force that we’re asking your leg muscles and connective tissues to absorb when jumping off of 50″ is simply too much to be controlled effectively and turned around into another jump. We see the exact same thing on toes-to-bar. Some athletes have no problem stringing together hanging leg raises or “toes almost to bar.” However, when they attempt to control the swing from a true toes-to-bar, the force is too high for them to control the bottom position. WHAT’S THE SOLUTION FOR BUILDING STRENGTH FOR TOES-TO-BAR? So, what can we do to build the eccentric strength to properly control the backswing of the kip in a full toes-to-bar? Isometric work and strict toes-to-bar variations tend to be the best way to build this strength. By slowing down and “owning” each phase of the movement, it will be easier to control the lowering phase when we make the movement more dynamic through kipping. Sit on the ground with your legs straight out in front of you. Place your hands on the ground and lift your legs up, around 6-9″ off the ground. Work on these until you can perform 2-3 sets of 15-20 reps without needing to break. Once you’ve mastered these move on to step 2. Hang from the bar and bring both feet up together until your legs are parallel to the ground. Work to hold a very slight hollow position through your core with your legs stationary in front of you. Work 2-3 times per week to accumulate 1:00-1:30. Once you’re able to accumulate 1:30 in no more than 3 sets move on to step 3. While hanging from the bar kip your toes up to make contact with the bar. When they reach the top control the decent taking a :05 count to lower them, at an even pace, until you’re hanging back at full extension. Work 4-5 sets of 3 reps until you have an even tempo and perfect control, then move to step 3. If you can do solid sets of strict toes-to-bar, you can be relatively certain that lack of eccentric strength and control is not your limiting factor in terms of stringing together multiple reps. In order to get the toes to make contact with the bar, we need significant amounts of hip flexion. Some people will feel like their hamstrings are too “tight” to do toes-to-bar. Others will get some pretty wild situations where their knees bend way out and they do some sort of complicated curling mess to get their toes to the bar. What’s usually happening in both of these situations is that the athlete is lacking either range of motion or motor control over hip flexion (the ability to bring the knees to the chest). While a detailed discussion on hip flexion is out of the scope of this article, it is important to understand that – if you have inadequate range of motion or an inability to access your range of motion – you will be fighting your own body every step of the way as you try to improve your capacity on toes-to-bar. For some quick ideas on assessing hip flexion range of motion, check out Adam Kelly’s video following the SFMA (Selective Functional Movement Assessment) protocol for multi-segmental flexion dysfunction. HOW CAN WE IMPROVE HIP FLEXION RANGE OF MOTION FOR TOES-TO-BAR? Suffice it to say, if you have a hard time touching both of your thighs to your chest while laying on your back, you are going to have a hard time smoothly making contact with the bar during toes-to-bar. If this is you, your best bet is to find a local therapist who can perform a detailed evaluation on you and suggest a treatment plan. If you don’t have access to a qualified therapist, I hesitate to make recommendations for movement issues in a blanket sense, but some of these drills will probably be helpful for you and are unlikely to do harm. Most people who are struggling to create end range of motion hip flexion will randomly stretch their hamstrings and their hip flexors. While there is a time and a place for stretching, this is probably not the best use of your time for improving range of motion and motor control in the hips. Instead, most people need to figure out how to get their pelvis to rest in a neutral position and gain motor control over the hips without excessive gripping in the hip musculature or tilting of the pelvis (either posteriorly or anteriorly). Again, this is a complicated issue, but a quick routine focused on the following exercises as a warm-up and/or a cool down is probably safe for most individuals and may help. The goal of this exercise is to reposition the pelvis and the spine and to inhibit some of the musculature that tends to pull athletes into an overextended position. This overextended position makes it very difficult to have good motor control over the hips and the pelvis. The dead bug is a favorite and a simple way to work on controlling the pelvis and the ribcage through the breath and the anterior core. The Cook Hip Lift is intended to create better motor control of the hips by locking the lumbar spine in position (to avoid extending and flexing through the back instead of through the hips). Since one hip is moving into extension while the other is held in flexion, this is a neurologically challenging exercise and can create a much better intuitive control of the hip joints. The goal of the hip controlled articular rotations is to give your brain feedback on your hip joints and develop motor control over the area. By moving the hip through full range of motion in both directions, we are essentially building a more robust and adaptable map of the hip joint which can help better control the joint through its range of motion. Note that – especially if you have any pinching or irritation in the hips – the goal is not to push into pain. If you feel discomfort doing this exercise, stop short of the range of motion that creates the pain sensation. While inadequate hip range of motion or motor control is often a persistent and frustrating issue, this is at least a starting point for improving your ability to access end range of motion hip flexion. Many people think of the toes-to-bar as an “ab” exercise. And, to be fair, most people will feel this in their abs as they do a lot of reps. However, for athletes who struggle to link reps together or who struggle to actually make contact with the bar with their toes, they’re often missing the ability to tilt their torso backwards through their shoulders as they get their toes up to the bar. This can leave them in the position where they’re kicking their feet high in the air – but just missing the bar itself. HOW DO WE IMPROVE TORSO POSITION FOR KIPPING TOES-TO-BAR? In order to create the proper torso angle, the shoulders must actually move into extension – which means that the shoulder angle closes and the athlete’s torso tilts backward (so that they’re looking more at the ceiling) as the kick up to make contact with the bar. The common cue of “push down on the bar” often heard in pull-ups or bar muscle-ups is equally applicable here. If an athlete is not engaging the shoulder extensors (mostly the lats, but also triceps and the teres minor and major), they will simply not be at an appropriate angle to be able to make contact with the bar. In some athletes – particularly those who have a tendency towards hypermobility – we will see an interesting phenomenon where they are able to create solid layback through the shoulders and solid hip flexion from a hanging position, but are seemingly incapable of doing both simultaneously. What may be happening here is that those athletes do not have solid control over the layback position, so they are getting some type of inhibition or “shut off” of their hip flexors and abs which prevents them from creating hip flexion. In order to work on this, try doing some drills on the bar where you focus on pushing “down” on the bar to tilt the torso backwards while bringing the knees up. Lack of effort is often not a problem in CrossFit gyms. There are few places where you can find a group of people more eager to push themselves to absolute failure during a training session. Flopping around on the ground after a conditioning session? Awesome. Grunting, grinding, and popping blood vessels in your forehead while hitting an 8RM back squat? Incredible. While the ability to “try hard” is certainly valuable, it’s often overdone during technical movements like toes-to-bar. In order to get a good kipping rhythm, there is a balance between tension and relaxation. Being too relaxed at the wrong time will make the movement sloppy and loose, and being too tense at the wrong point will make the movement grindy and awkward. Many athletes feel that they have to create maximum tension to get their toes to the bar. And, in some cases, they do. However, if each rep is involving maximum contraction, there’s almost no chance of finding a smooth, rhythmic kip. WHAT’S THE BEST WAY TO LEARN TO RELAX DURING KIPPING TOES-TO-BAR? To work on this, the best thing to do is to scale the movement back to a degree of difficulty where it can be completed successfully and smoothly without excessive gripping. Taking a step back from maximum tension on every rep in order to improve technique and efficiency will indeed make you better in the long run. And, while this seems obvious on paper, there’s often an emotional component where athletes feel like they’re not maximizing their training sessions if they’re not trying as hard as possible the entire time. Sorry to call you out in a blog post, but it’s often true. The only real advice I have is “quit being a maniac” – and also consider taking up a meditation practice. If you want to work on relaxing more through the toes-to-bar, practice in sets of 5 to a height at which you can maintain a smooth, rhythmic feeling. If you can hit a set of 5, try to kick your feet a little bit higher on your next set. You will find a threshold past which you lose the rhythm of the movement and start “grinding” reps again. The goal will be to play around near this edge and keep dancing above and below it in sets of 5. You will find that your control of the movement will change day-to-day, but – within a few weeks of consistent practice – you should see significant progress. For many people, the first rep of their set of toes-to-bar sets them up for failure when they try to string together their second rep.
To keep the timing and rhythm of the kip, the athlete needs to make contact with the bar while their hips are still behind the bar. If the hips drift in front of the bar while contact is being made, they’re not able to then direct their hips forward when the feet come back behind the bar in the kip. This results in a full body swing and the feeling that they’re not strong enough to string reps together. Take some video! Sometimes it can be hard to appreciate your body position during movements, but by filming yourself you can get a better understanding of your position. If you have the requisite strength and mobility (as detailed above), simply changing your hip position as you make contact with the bar can be a game changer. The most obvious part of the body moving during a kipping toes-to-bar is the legs. They swing way back at the bottom of the movement – and, in some athletes, end up doing a crazy scorpion kick and almost hitting them in the back of the head. Then, those legs fly up to bring the toes to the bar. However, the toes-to-bar, when done properly, is really a delicate dance between the shoulders, the hips, and the knees. Many athletes attempt to “fling” themselves at the bar using their hips, their knees, and their low back. But, they fail to understand how to get the shoulders involved in the movement which often leaves them struggling to make consistent contact with the bar. In some cases, this is a substitute for inadequate strength. In other cases, this is a misconception surrounding the mechanics of the movement. Check out this breakdown of how to build the kip from the ground up focusing on the shoulders and the hips – rather than just swinging the legs. – To work on your kip start from a dead hang position with feet together and your toes pointed. Imagine you’re trying to get your toes as far away from your hands as you can and squeeze your feet together. – From there you’re going to work on a very small hollow to arch movement, allowing your feet to move about 12″ to start with. – If you can maintain your rhythm then increase the distance of the kip, still focusing on pointing your toes. You should find you create some great tension and power from your hips and shoulder in this position. – Work on pulling down on the bar as your feet come out in front of you, imagine you’re trying to pull the bar down to your toes. You should find you create a deep hollow position with your torso behind the bar. – Increase the power of the kip and actively pull your feet high as they move in front of the bar. While there’s potentially dozens of potential reasons that you could be struggling with linking together consecutive toes-to-bar, the most important thing to do is figure out what your individual limiting factor is and come up with a plan of attack to improve that issue. The 6 faults above are the most common ones that we see – but that doesn’t mean that there aren’t more. If you feel like you’re stuck and frustrated, you may be prioritizing the wrong toes-to-bar drills – or you may just not be patient enough to see progress. It’s always difficult to strike the right balance between persistence and consistency, and foolish stubbornness and determination. If you want some feedback or have questions, drop us an email at info@legionsc.com or slide in our DMs on Instagram (@legion.sc). Struggling in the squat is not uncommon. "Yeah, I just need to get better mobility." But, what does that mean? Some band stretching drills? Some ROMWOD? Where exactly do you need mobility? Hips? Knees? Ankles? Many athletes understand that they need to work on and improve their mobility and movement quality to get into good … Continue reading "Hip Mobility & Hip Impingement | Webinar with Dr. Evan Osar of the Institute for Integrative Health & Fitness Education"
Please login to view this page. If you do not have a membership, you can register for one here - including our free basic option. 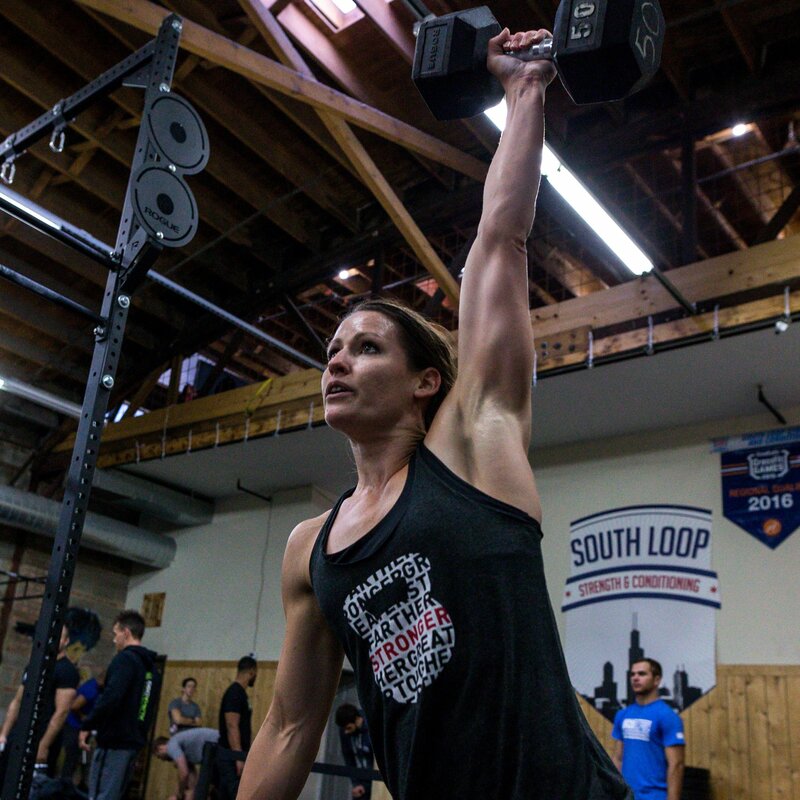 Kristin has gone on to make two CrossFit Games appearances with OC3 Black (in 2017) and CrossFit Mayhem Independence (in 2018). 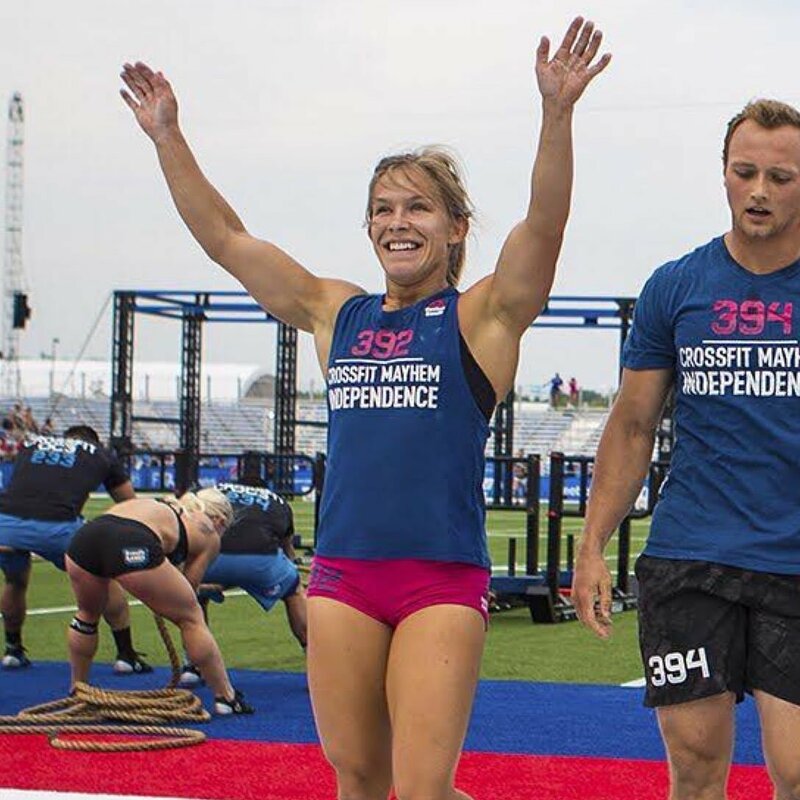 She will compete with CrossFit Mayhem Freedom in the 2019 season – which is shaping up to have quite the interesting structure. [34:53] Mayhem athletes mostly train individually – so how do they develop the team communication skills necessary to compete? [46:36] How is Mayhem approaching the changes to the 2019 CrossFit Games season? [52:21] How do Mayhem athletes work on their own individual weaknesses while still training as a group? 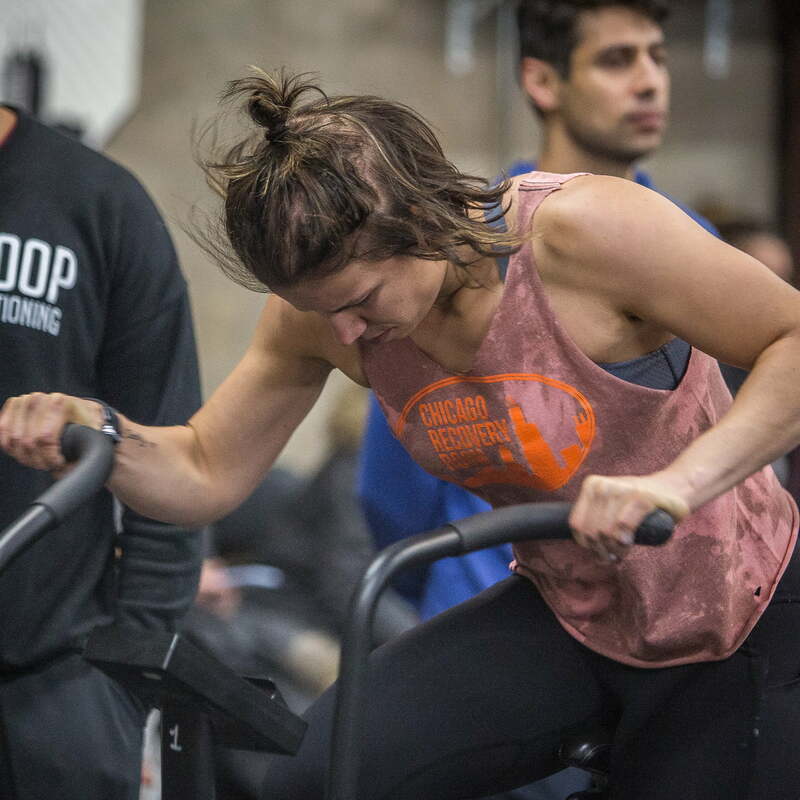 In competitive CrossFit, most people tend to either consistently go out too hot on every workout (and have a melt down a few minutes in), or they tend to overpace everything and always feel like they had more in the tank to give. Based upon this, a coach needs to be able to understand what kind of prescription will give each athlete what he or she needs in order to improve understanding of the appropriate effort for a given situation. So, is the best way to do this by giving athletes freedom to feel things out? Or is it to give them prescribed paces and weights so that they have to learn how the feel when tasked with accomplishing a specific prescription. When it comes to “effort” in skill training, it seems that less is more. 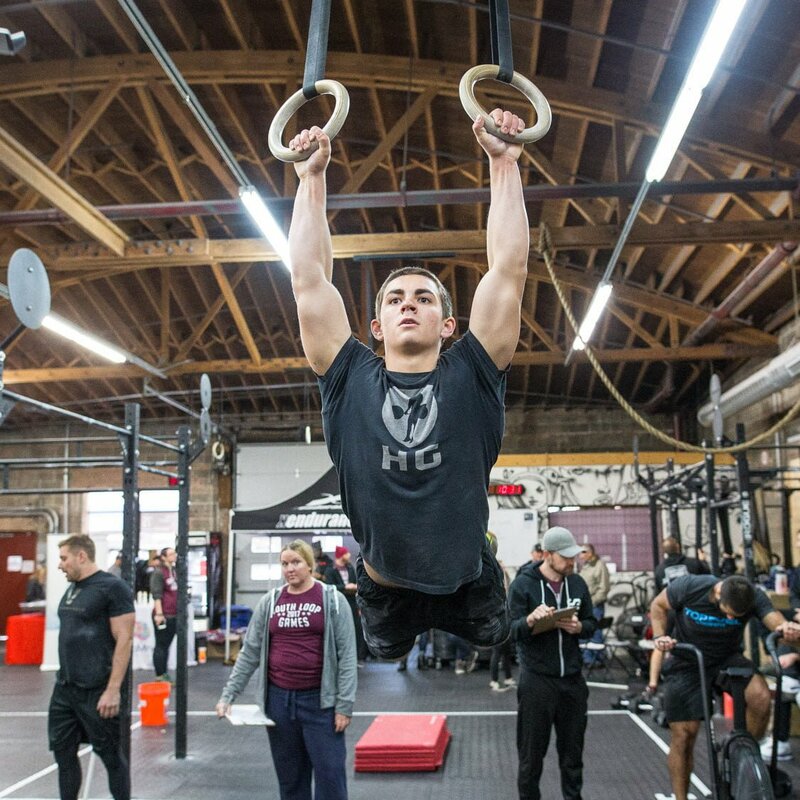 Athletes who compete in CrossFit often thrive on giving full effort. They enjoy the process of pushing themselves – and they also believe that, unless they’ve given everything they had in a session – that they did not maximize their time on the gym floor. In skill acquisition, however, full effort is not necessarily full victory. In fact, many athletes need to learn to relax as they perform skills like muscle-ups, handstand push-ups, and barbell cycling. Being too tense during workouts with high volumes of these kinds of movements is one of the easiest ways to get really, really tired. It can be challenging for folks to take a step back and work on improving the quality of their movement through consistent, low intensity practice – and it can also be difficult for them to work on movement in an unstructured “play” type environment without prescribed reps and sets. Todd and Luke continue to talk through the changes to the 2019 CrossFit Games season. The incentives for people to participate in the different competitions will change significantly – and we will see people having to put much more thought into their training as they decide which competitions to truly peak for. No longer is everyone on roughly the same schedule in terms of shooting to make it through the Open to Regionals, then shooting to make it through Regionals to the Games. Now, we will see some gamesmanship as far as attempting to schedule the season in a way that makes sense. We will also see variation in athletes between those who actually have a plan for how to approach multiple events in a season compared to those who just want to throw down all year. •What will the toll of repeated online qualifiers be on athletes? •Is it possible to create a points structure that allows athletes to bypass the typical qualifying process? •Is there an opportunity for a crowdsourced peer review process to cut down on the amount of dishonesty in online qualifiers? •How many teams can an athlete peak in a season? And how will athletes game which events and which qualifiers they choose to do? •How will programming for the sanctioned events be handled? Will this change the dynamic of how athletes are able to train for and prepare for these events? Jon and Luke talk through some of the changes to the 2019 CrossFit Games season (which are still not fully clear yet) – but we do have enough information for athletes to start planning their training. 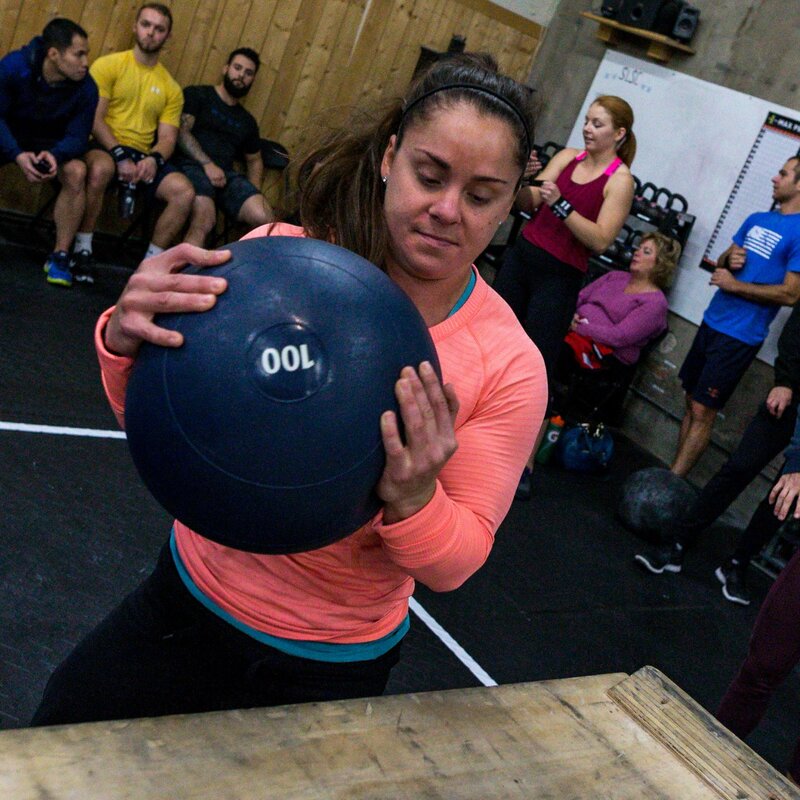 The structure of the season for most athletes will likely change as the focus shifts away from the Open and more toward the sanctioned CrossFit events. We will see how this continues to shake out, but here’s our initial thoughts in terms of how to structure training and what to expect. •What do these changes mean to the training structure throughout the year for athletes? •How much will Open participation change? •What can bubble athletes on the edge of qualifying for Regionals or the Games look forward to in their training? •What will change for people who have an opportunity to qualify directly to the Games from the Open? Legion Podcast #4: How much variation in daily results can I expect in training? For many athletes, every training session is a competition and they’re constantly evaluating themselves on their results. While having an idea of where you sit and what you need to work on is generally a good idea, this can also swing too far. Athletes often find themselves getting caught in negative emotional spirals when their training results don’t match up with their expectations. However, there is also a natural variation in daily results. How do you know if you’re outside of that range of acceptable variation? And how do your emotions surrounding your results impact your ability to improve over time? Many athletes are consistently shooting themselves in the foot by making this one mistake: they flat out don't eat enough food. When you're training to be the best that you can be and to maximize your potential, it's essential to eat in a way that supports your goals and your time in the gym. 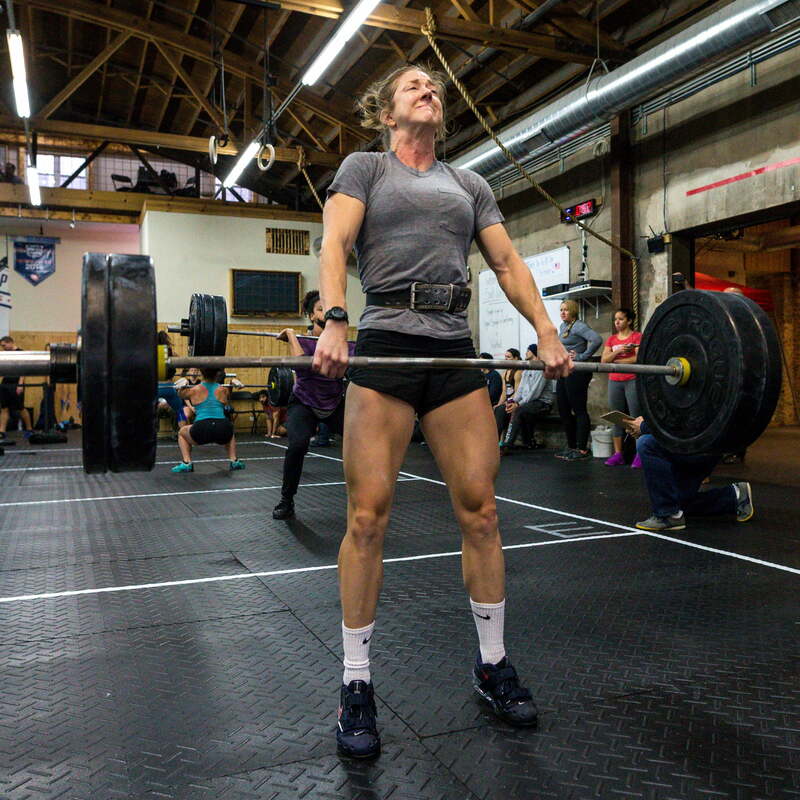 However, … Continue reading "Under-eating and overtraining in CrossFit® Athletes | Webinar with Mike Kesthely of Nova 3 Labs"
We've compiled a list of some of the most common errors that we've seen in training over our years of coaching - many of which we've made ourselves. From mistakes in the actual design and structure of programs, to dangerous misconceptions about mindset, to the hazards of social media, this guide lays out some frequent pitfalls for any athlete looking to improve. Get your copy by inputting your information below.